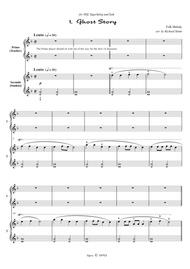 Composed by Folk songs, S. Kaldalons, I. Bjarnadottir. Arranged by Richard Simm. Folk Music. Score. 14 pages. Richard Simm #2pv/331. Published by Richard Simm (S0.2727). These short duets are arrangements of some of the best melodies of Iceland's marvellous and unique musical heritage. Despite their beauty and popularity, however, they are often linked with tales describing hair-­raising events and situations in the country's history and folklore! 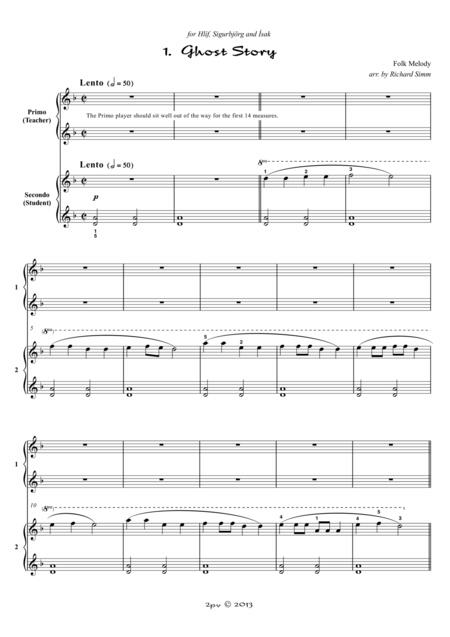 For beginner-level students to play with their teachers.For those that would prefer hard copy sheet music, this is available from 2pianovirtuoso.com.